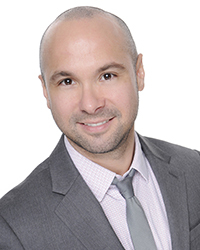 Dr. Rossniel Marinas is a bilingual (English/Spanish) physical therapist with more than 10 years of clinical experience. His areas of expertise are pediatrics and neurology. Dr. Marinas has provided physical therapy services to children in a variety of clinical settings including prescribed pediatric extended care, home health, and private clinics. His work with adults includes neurological disorders in hospital, sub-acute, and long-term care settings.